The 69-year-old Gavaskar though backed Karthik’s selection conceding his better wicket-keeping skills won him a place in the squad. The Indian squad for the upcoming ICC World Cup was announced on Monday and while everything else went on the lines of expectation, the exclusions of Rishabh Pant and Ambati Rayudu had surprised a few quarters. 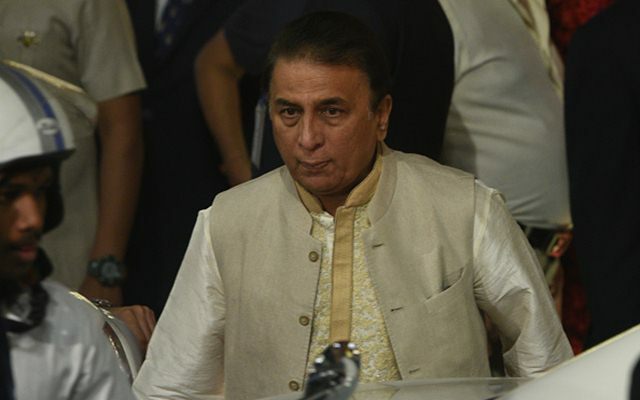 Especially, with the meteoric rise that he witnessed in international cricket, Pant’s failure to make the cut astonished former great Sunil Gavaskar. The 21-year-old Delhi wicketkeeper has been in good form, particularly in the longer format, and his ability to hit big convinced many that he would be a certainty in the squad. The selection committee led by former India wicketkeeper MSK Prasad met India captain Virat Kohli and other relevant people before announcing the squad. Dinesh Karthik, who was omitted in India’s home series against Australia and Pant was picked in his place, made it to the WC squad after a gap of 12 years. Prasad later said that it was a tough call but Karthik made the cut keeping in mind the wicket-keeping skills. Pant failed to impress with his glovework in the series against Australia in which he kept for the first time and even during one of the games, the spectators demanded that Mahendra Singh Dhoni be brought back. Dhoni, who was picked as Indian squad’s first keeper, was rested for the games against Australia in which Pant kept. Gavaskar said looking at Pant’s form, he was surprised that the wicket-keeper-batsman did not make it. “A bit surprised, looking at his (Pant’s) form. He was batting exceptionally well, not only in the IPL but before that also. He was showing great improvement in his wicket-keeping as well. He brings that left-handed option in the top-six which is very handy against the bowlers. The bowlers have to change their line (for a left-hander) and the captains have to do a lot of field arrangements,” Gavaskar, a member of India’s World Cup-winning team of 1983, was quoted as saying by India Today. Middle-order batsman Ambati Rayudu also failed to make the cut as he could not deliver with the bat in 2019. Vijay Shankar and KL Rahul got the call for their maiden World Cups. The 69-year-old Gavaskar though backed Karthik’s selection conceding his better wicket-keeping skills won him a place in the squad. About Vijay’s selection, Gavaskar said the latter has improved over the last one year and called him an “useful” cricketer. India open their World Cup campaign versus South Africa on June 5 at The Rose Bowl, Southampton. Kohli will be eager to hold the trophy after the end of the tournament and become the third Indian skipper to lift the coveted trophy in cricketing history.